Venus Versa is a powerful, non-invasive Intense Pulsed Light procedure that delivers a strong, precise infrared light to penetrate and pulsate through several layers of skin. Targeted to the exact depth necessary to treat your specific areas, our advanced IPL restores and rejuvenates damaged skin cells on the molecular level. Venus Versa is totally safe, virtually fain-free, with minimal side-effects and no down time. Lasting 10-30 minutes, per procedure, results are noticeable from the first session. 1-5 treatments depending on area and concern. Results lasting up to a year or longer. HAIR REMOVAL The Palomar Icon System allows us to treat all skin and hair types. Intense Pulse Light works by emitting a pulse of light into the hair follicles safely heating and disabling the cells responsible for hair growth and permanently “reducing” hair production. PHOTO REJUVENATION FACIAL Intense Pulsed Light Therapy is a non-surgical, non-invasive treatment is designed to improve the appearance and quality of the skin. 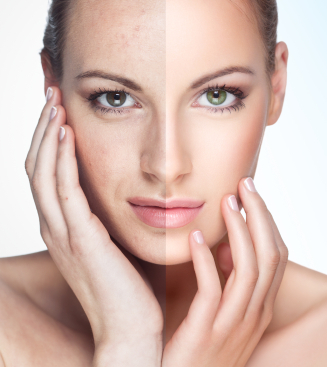 IPL is used to reduce skin conditions such as rosacea, superficial blood vessels, sunspots or age spots and other signs of aging can be gently eliminated. Results are healthier, younger looking skin.